Jatin Sarna, who played Bunty in Netflix's adaptation of Vikram Chandra's Sacred Games, has joined the cast of Ranveer Singh-fronted 83. He will essay the role of cricketer Yashpal Sharma. 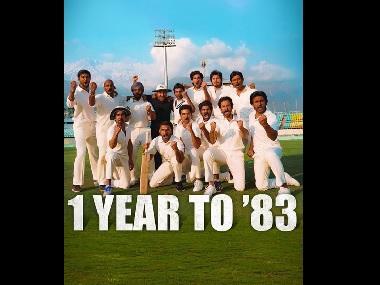 The sports drama, based on India's historic win at the Cricket World Cup in 1983, is being directed by Kabir Khan. Ranveer will be seen playing the character of former Indian cricket team skipper Kapil Dev, under whose captaincy India won its first World Cup trophy. The announcement was made via the film's official Instagram handle, describing the veteran cricketer as the inventor of the 'badam shot'. Apart from Singh and Sarna, Saqib Saleem will play all-rounder Mohinder Amarnath and Harrdy Sandhu will portray another all-rounder, Madan Lal. While Amarnath was the Man of the Match in the semi-finals, Lal was responsible for taking the crucial wicket of then-West Indies captain Vivian Richards in the finals. Tamil actor Jiiva has been cast as Krishnamachari Srikkanth. Pankaj Tripathi will play the role of team manager PR Man Singh. Punjabi actor Ammy Virk will bring Balvinder Singh Sandhu on screen. Tahir Raj Bhasin will essay the role of Sunil Gavaskar, YouTube personality Sahil Khattar will play Syed Kirmani, Marathi actor Adinath Kothare will portray Dilip Vengsarkar. Touted as the "biggest sports film" of the country, 83 is slated to be released on 10 April, 2020 in Hindi, Tamil and Telugu. It marks the first ever trilingual release for both Ranveer and Kabir.